‘One Note Samba’ was originally written and performed by Antonio Carlos Jobin in 1963 on his classic Bossa Nova album ‘Jazz Samba’. 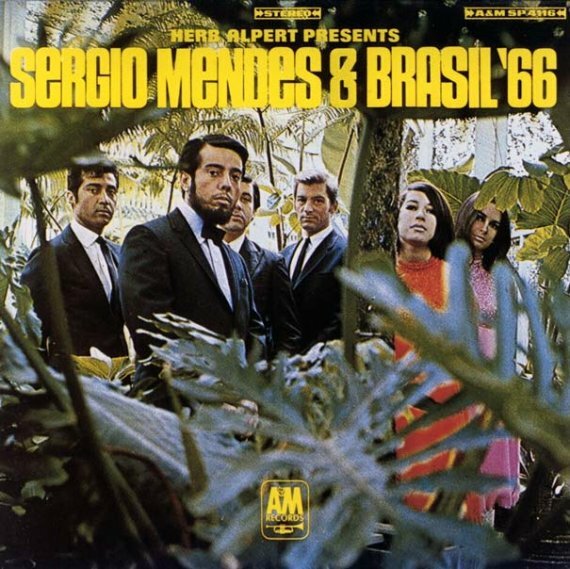 Fast-forward three years and, in an effort to step-up record sales, Sergio Mendes hired a new singer (Lani Hall), switched record labels and released ‘Sergio Mendes And Brasil ’66’, which contained the cover version of ‘One Note Samba’ included in this mix. With the support of his friend and mentor, Herb Alpert, the album was a huge success and sold over one million copies. The song has been covered numerous times since Sergio Mendes’ “little samba built upon a single note” and is a favourite late-night tune amongst DJs who know that “other notes are sure to follow but the root is still that single note”.